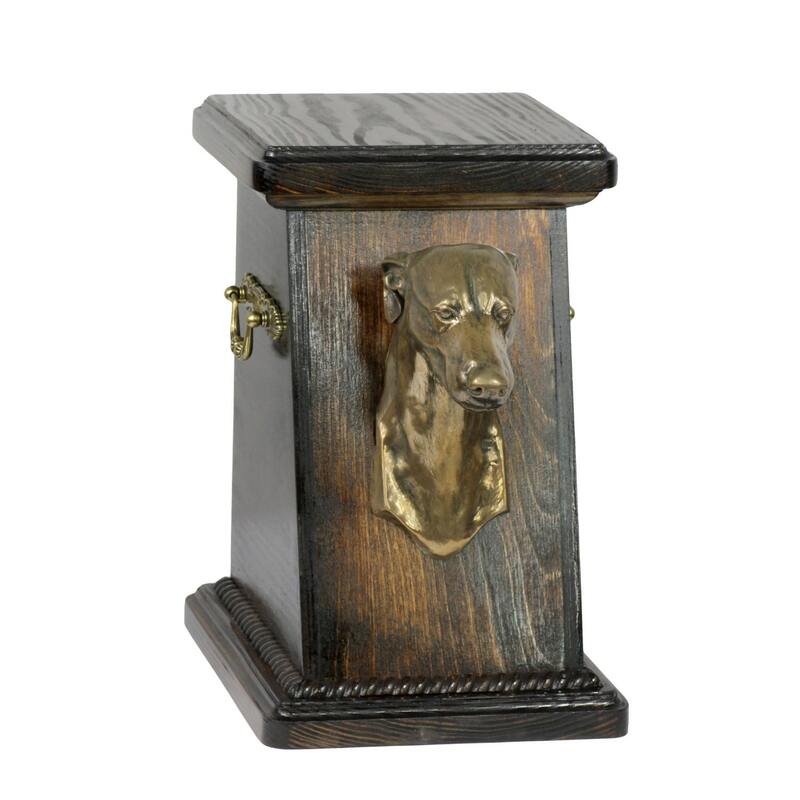 Urn for dog’s ashes with a Grey Hound, ART-DOG Cremation box, Custom urn. 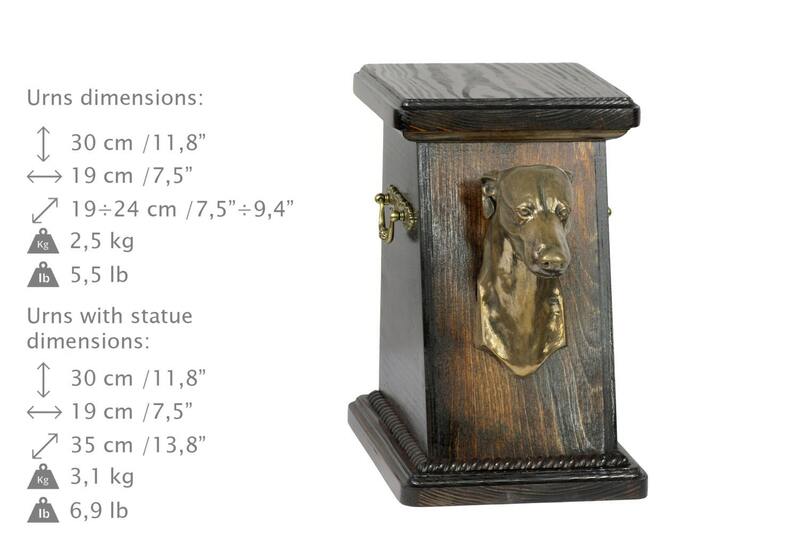 Cremation box, Custom urn. 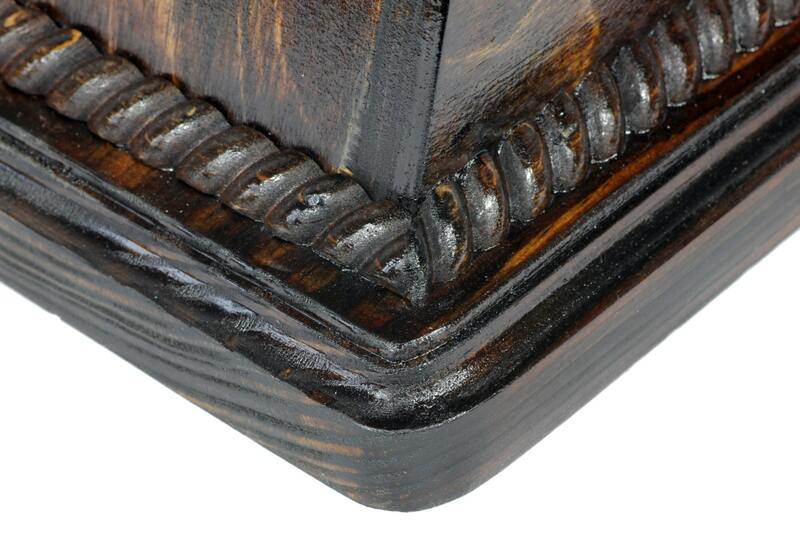 Wooden urn, made of birch – durable and lasting. 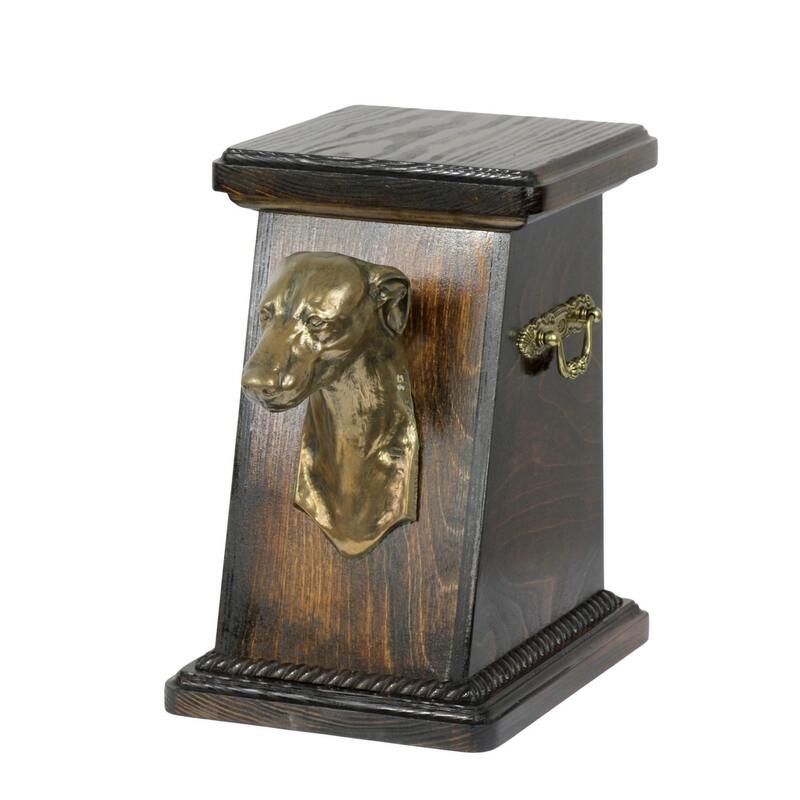 Available with a wide range of statues of any breed. 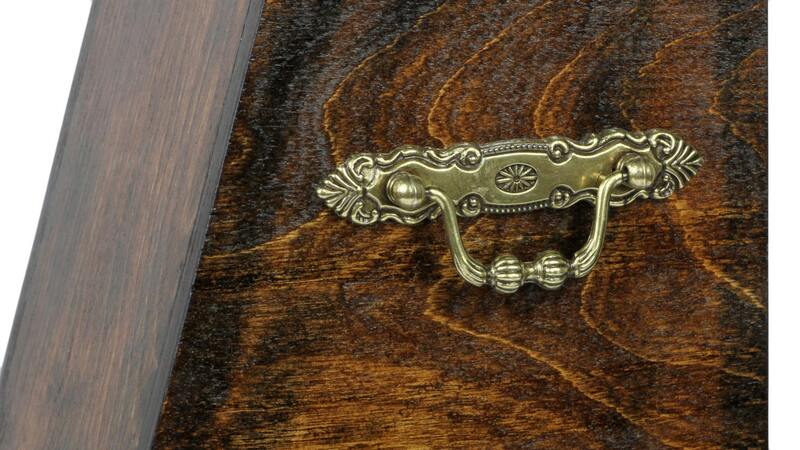 The urn has brass handles and wreath shaped decorations. It is convenient to use thanks to its removable lid. The style and elegance will make your pet feel your love forever.